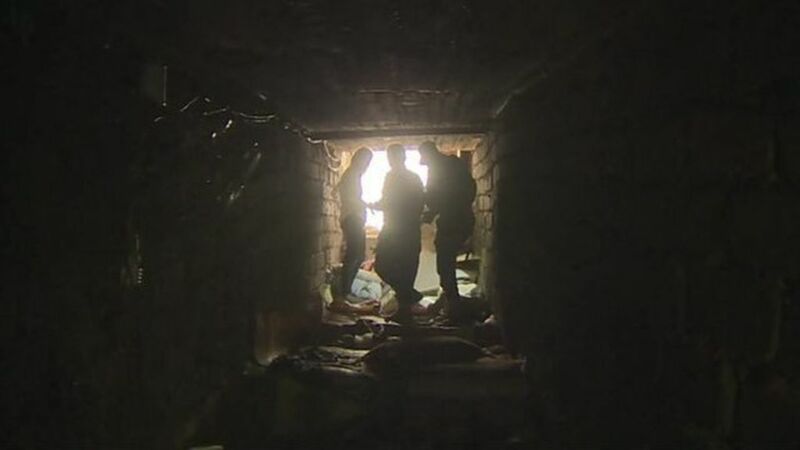 Orla Guerin goes inside one of Islamic State’s tunnel networks on the frontline outside the northern Iraqi city Mosul. Between 800 and 900 Islamic State (IS) militants have been killed since Iraqi forces launched an offensive to retake Mosul last week, a top US general says. US Central Command chief Joseph Votel told AFP news agency it was hard to be precise as militants moved around the city and blended in with residents. 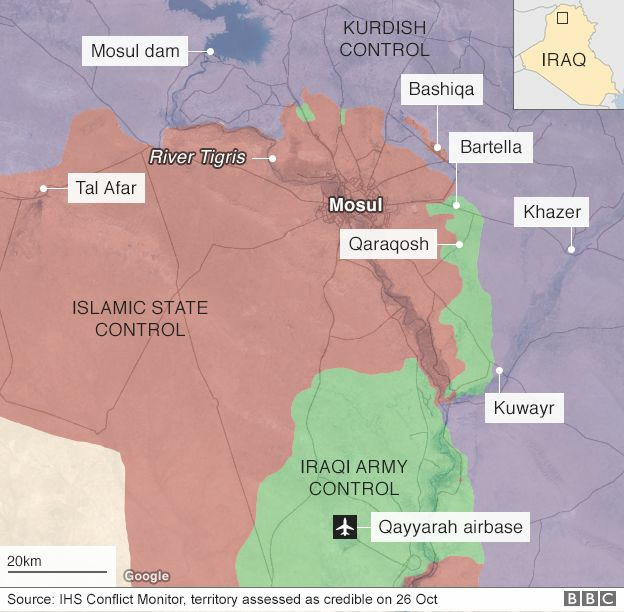 Up to 5,000 IS fighters were thought to be in Mosul before the assault began. Since then, troops and allied fighters backed by US-led coalition air strikes have made gains on several axes. Commanders have nevertheless warned that securing Mosul could take weeks, if not months. 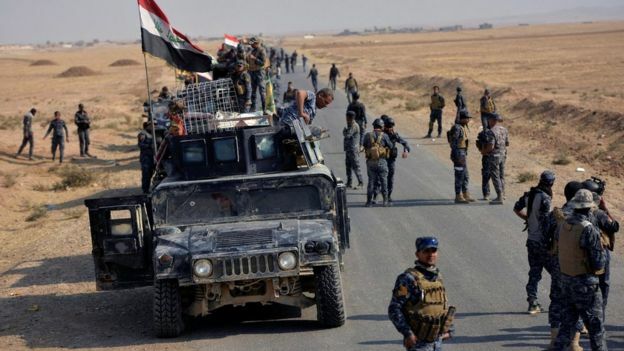 About 50,000 Iraqi security forces personnel, Kurdish Peshmerga fighters, Sunni Arab tribesmen and Shia militiamen are involved in the operation. More than 100 US military personnel are embedded with them, advising commanders and helping direct coalition air strikes. Other US troops are providing fire support from nearby bases. The Iraqi government informed US commanders on Wednesday that 57 Iraqi soldiers had been killed and about 250 wounded. The Peshmerga are thought to have suffered about 20 to 30 fatalities. Despite the removal of hundreds militants from the battlefield, the head of US forces in Iraq has warned that IS defences are likely to grow stronger the closer Iraqi troops get to Mosul. The group had “used an extraordinary amount of indirect fire – mortars, artillery and rockets – and an exceptional number of VBIEDs (Vehicle-Borne Improvised Explosive Devices),” Lt Gen Stephen Townsend told reporters during a visit to the Qayyarah airbase on Wednesday. 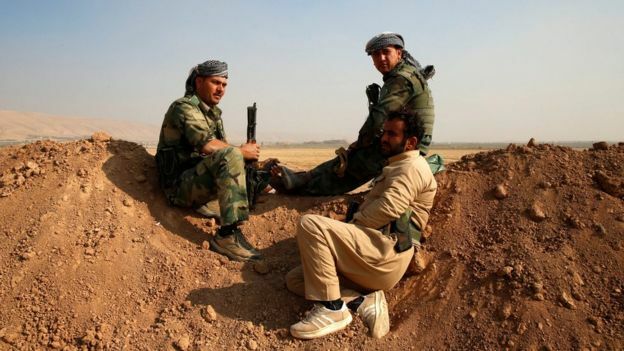 Fierce resistance by jihadists has held up soldiers in the Shura area, 40km (25 miles) south of Mosul, prompting elite Counter-Terrorism Service (CTS) forces to pause their advance near the village of Bazwaya, only 6km east of the city. CTS commander Brig Gen Haider Fadhil told the Associated Press news agency his forces would wait for other units to reach Mosul’s outskirts before entering the city. Meanwhile, the World Health Organization (WHO) said it had trained 90 Iraqi medics in “mass casualty management” as part of its preparations for the Mosul operation, with a special focus on responding to chemical attacks, AP reported. IS has previously used chemical weapons in attacks on Iraqi and coalition forces, and there are fears that it might do so again inside Mosul, where more than a million civilians live. 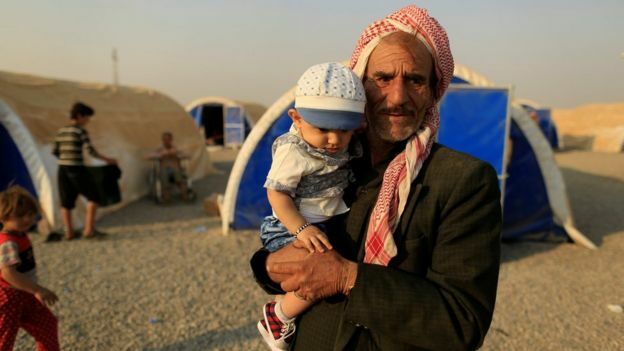 Some 11,700 residents have fled since the offensive began and, according to the UN’s worst-case scenario, as many as 700,000 others could follow suit. “There’s been quite a dramatic upturn in the last few days,” said Karl Schembri of the Norwegian Refugee Council, who warned that there were currently only spaces in camps for 60,000 people. The WHO is working on the assumption that 200,000 of them will require emergency health services, including more than 90,000 children needing vaccinations and 8,000 pregnant women.